Closure can mean a lot of things depending on your circumstance, but it mostly means the end of a relationship. For me, I had a date with closure at about one o’clock in the morning this past Saturday. That was when over a hundred of my closest friends came home from Afghanistan, and I was able to be standing in the parking lot as they got off the buses and reunited with their families and friends. It is one of the rarest things in existence: a timeless moment of pure and unadulterated joy. It was tremendously emotional as these post-deployment reunions always are. Fathers met their infant children for the first time. Lovers embraced after hundreds of days apart and children jumped up and down in exuberant delight as the first sight of their father. Parents and grandparents hugged their sons and grandsons, thinking of the little boys within who grew up to be the Marines and Sailors who traded their boyhood clothes for the cloth of the nation. Mothers wiped eyes grown damp with joy. Hundreds of faces lit up in the darkness of that cold morning with delight in that moment; the blissful radiance of pure happiness erased the months of separation, the sleepless nights, and the loneliness that only those separated by wartime can understand. The jocundity engulfed everyone there, and for me it held an even more special meaning. As I wrote a few paragraphs back, the chilly morning held for me the last bit of closure that I needed before truly closing the door on my military career. 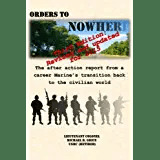 It was closure because not long ago the busloads of Marines and Sailors who returned from combat had all been under my charge and their training and preparation for their trip to fight the Taliban was my responsibility. I had been their Commanding Officer for the two years or so leading up to their deployment, and had led them in Afghanistan the year before. Although the leaders of the unit worked together to make sure that every Marine and Sailor was ready to fight, it was my duty as the CO to ensure that they were ready. It was also my burden each and every day that they were in harm’s way: even though I was no longer a member of the command, their ability to fight and their readiness to survive the rigors of combat was my final duty. We had trained together, and we trained hard. From the bleak and blistering Mojave desert to the the windy plains of Oklahoma to the frigid tip of northern Scotland we had run through the gamut of challenges that prepare a man to fight. We ran countless miles and hiked under staggering loads. We practiced airstrikes, artillery fire missions, and hand to hand combat. We planned and executed missions aboard attack helicopters and prepared to put tourniquets on shattered limbs. Month after month of aggressive training made the unit keenly ready to fight, and three weeks before they left I handed the mantle of command to my successor. It wasn’t because of anything more than my time in command was up. My successor, appointed as I was by the Commandant of the Marine Corps, eagerly took hold of the reins of command with a level of enthusiasm that countered my reticence to hand them over. All good things come to an end, and in my case it was the demise of the best job that I had ever been fortunate to have. The change of command and my subsequent transition did not bring my emotional tie to the unit to an end, however. The seven months that they were in combat were seven long months for me as I checked the news every day to see what was going on in Afghanistan, read casualty lists hoping not to see a familiar name, and listened in on conversations to hear how thing were going “in Theater”. This past Saturday morning untied the knot that had been lying in the pit of my gut since they left in the summertime. Although not everyone made it to the reunion in the parking lot, they all came home alive- and with their return my duty was complete. For each Marine and Sailor and for every father, mother, wife, child, and friend their home brought closure to their absence. As for me, it brought an immense feeling of satisfaction, relief, and closure too- closure for the time I was honored to stand with them as their leader and closure for my career as well. Saturday, December 10th marked the end of 1st Air Naval Gunfire Liaison Company’s deployment. December 10th is particularly significant for me personally as well because 27 years before on that very day I enlisted in the Marine Corps. I had no inkling on 10 December 1984 that I would be standing on a cold parking lot watching such a joyous reunion exactly 27 years later, but I am glad that I was there. It brought me something priceless: a satisfying sense of closure to my life as a Marine. This entry was posted in Transition Posts and tagged active duty, career, Enlisted, Marine Corps, Officer, Retirement, transition. Bookmark the permalink. That was a lovely story you shared. Thanks for both serving and now sharing with us!